Another Loaded Edge just hit the lot. 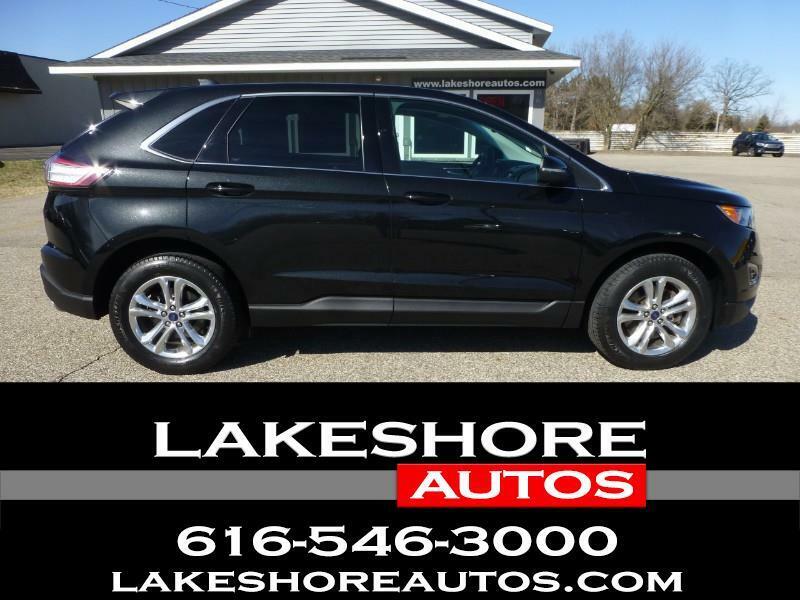 This one has extras like: Leather Heated Seats, Panoramic Vista Roof, Hands Free Power Liftgate, Blind Spot Monitoring, Navigation, Remote Start, 18" Polished Wheels and whole bunch of other options. This one is extremely clean inside and out. It is also NOT CANADIAN like so many others you will find. It is also Carfax Certified - One Owner and No Accidents. Be careful when shopping not only have I noticed so many Canadian ones but also many are not V6, not All Wheel Drive and several were previous rental vehicles. Don't make a $3,000 mistake buying the wrong one. Ours is also Inspected, Serviced and comes with a Warranty. We provide a Hassle Free shopping experience like no other. Above Average Condition vehicles at better prices. We'll never call or email harass anyone. We find that if you have a really nice mechanically sound vehicle at a great price there is no reason to hard sell or put pressure on getting the sale TODAY. We search through thousands of vehicles each week and hand pick only a few Above Average vehicles for our lot. We never buy Salvage, Flood, Storm Damage, or any vehicle in a Moderate or Severe Accident.Rest assured you won't find junk or anything broke here. We crush the competition with our awesome pricing and better condition vehicles. You don't have to pay high dealer profits. Shop around, you won't find nicer vehicles at better prices anywhere else within 75 miles...Guaranteed. We are here to save you money and get you a better vehicle.